Home / Equipment / Cameras / What Camera do Famous YouTubers Use? When someone wants to get started on YouTube or improve their videos they usually want to know what kind of camera their favorite YouTubers use. This information can be very difficult to find so we made it easy for you! Use the navigation below to find your favorite YouTubers or just scroll through the list to see what cameras and microphones are popular among youtubers right now. We currently have 30+ popular YouTubers in the list and are constantly making sure it is up to date. Just remember, you don’t have to start out with the same equipment. The equipment these YouTubers have now is a result of many years of creating videos and improving their equipment. A lot of the famous YouTubers started with cheap point and shoot cameras or used their phone to record videos. What matters most is the content you produce. If you make entertaining videos, your viewers will enjoy it even it wasn’t shot on a $2000 camera. 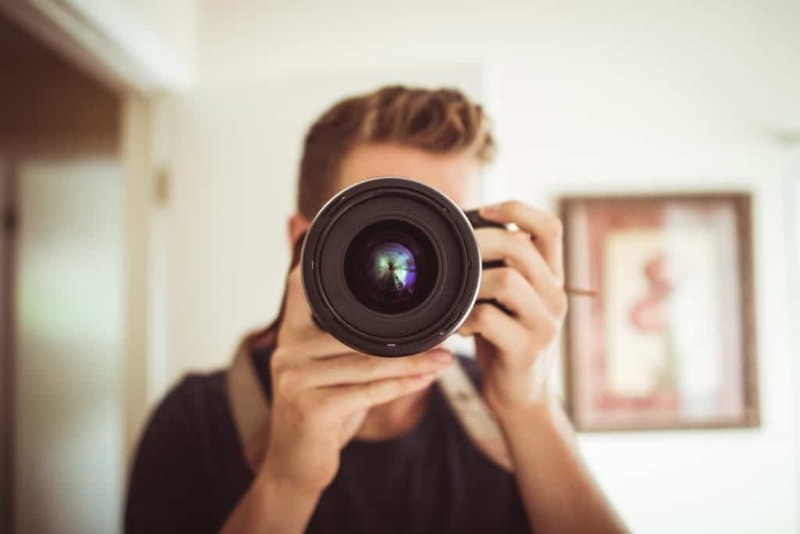 If you are looking for a camera for YouTube, use our vlogging camera buying guide to find the best camera that fits your budget. What Camera Does Ace Family Use? 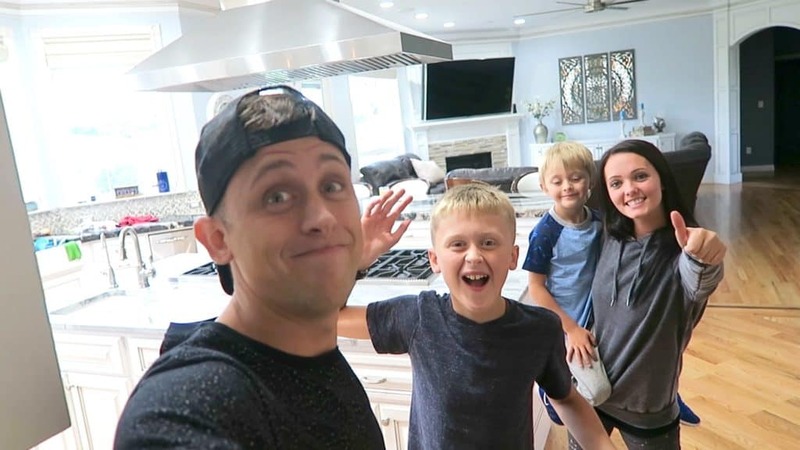 Unfortunately, we could not find what camera The ACE Family uses to record their vlogs. We found no mention of the camera they use on their videos, Facebook, Twitter or Instagram. We do know that they are using a JOBY GorillaPod so we assume they are using a high-end DSLR. Possibly a Canon EOS 70D since that is the most popular video camera among YouTubers. For editing their videos they use an Apple MacBook Pro. Aspyn Ovard uses a lot of high-end equipment for her videos. The DSLR cameras she uses are not the best option for beginners but the Canon G7 X is a great portable vlog camera for YouTube. Unfortunately, we couldn’t find any confirmation for the camera Bethany Mota currently uses. All we could find were some tweets back from 2012 but we are certain she has upgraded to a better camera since then. If we had to guess it would be the Canon 70D like many professional YouTubers use. We do know what polaroid camera she uses, a Fujifilm Instax Mini 8. What Camera Does BFvsGF Use? BFvsGF used to be the channel of Jesse and Jeana until they broke up and now they both have their own channel. When they were still together they used the Canon PowerShot ELPH 330 HS for vlogging and the Canon 70D with a Rode microphone for more cinematic videos and recording at home. Now that they have split up Jesse Wellens started his own channel. Jesse now uses the Sony a7S II, with a Rode Stereo VideoMic Pro on a Joby GorillaPod. When he is vlogging and he wants something more low-key he uses the Sony CyberShot RX100 IV. Jeana kept the BFvsGF channel but we aren’t sure what camera she is using at the moment. Possibly, still the Canon 70D they used when they were still together. What Camera Does Bratayley Use? 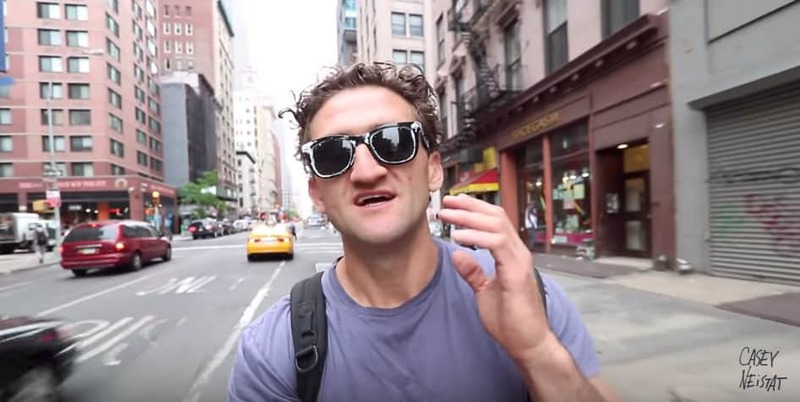 What Camera Does Casey Neistat Use? Casey is well known in YouTube community because of the high quality videos he produces with excellent storytelling. We have a more in-depth write-up of all the camera equipment uses so for the full list you can also check out that page. Christian Guzman currently switches between a Canon 5D Mark IV and a Sony a7S. Both of these are used in combination with a Rode shotgun microphone. Although it’s been a while since Connor Franta has said which camera he uses he used to use a Canon EOS Rebel T3i. The Canon T3i has been discontinued by the manufacturer and has been replaced by the newer (and better) Canon EOS Rebel T5i. What Camera Does CTFxC Use? CTFxC used the be the channel of Charles Trippy and Allison Speed. When they divorced Charles kept the CTFxC channel. Charles now uses a Canon G7 X, a popular vlog camera with great image quality. What Camera Does Cutiepiemarzia Use? Cutiepiemarzia has tried using a DSLR but found that too uncomfortable to carry around while vlogging on the go and has since picked up a point and shoot camera a lot of other vloggers use, the Canon PowerShot G7 X. 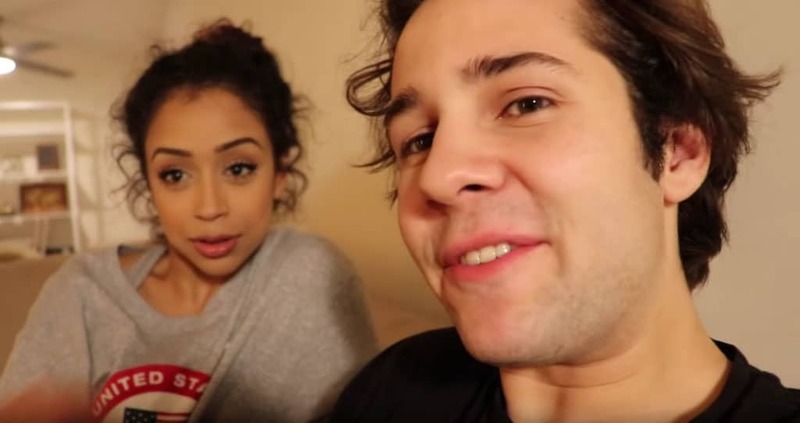 What Camera Does David Dobrik Use? Finding what camera David Dobrik currently uses was difficult but luckily it was clearly visible in a video of Scotty Sire. That’s why we can say with 100% certainty that David Dobrik currently uses the Canon 80D DSLR camera with a Canon 18-135mm lens. Before that he used the Sony DSCHX80/B. What Camera Does DK4L Use? From their Bora Bora villa tour video you can see their camera setup in the bathroom mirror. They are using the Canon 80D with a Canon 17-40mm wide-angle zoom lens. The microphone they use is the Rode VideoMic Pro which is covered with the Rode Deadcat furry wind cover to filter wind noise. This is mounted on a Joby GorillaPod to complete the setup. What Camera Does EverythingApplePro Use? Filip from EveryThingApplePro always uploads high-quality videos while mostly recording inside and close up. The Panasonic GH5 he uses is perfect for this and can record in 4K resolution at 60 frames per second. In a video uploaded by FaZe Apex we can see that they are both using a Sony RX100. We can’t tell from the video if it’s the mark IV or mark V but they are both great cameras for YouTube. Before that he used the Canon PowerShort G7 X. A camera very popular in the YouTube vlogger community because of its compact size, image quality and flip screen. After watching the video where he puts his camera into a foam cube we can confirm that Faze Rug uses a Canon G7 X Mark II. What Camera Does FunForLouis Use? 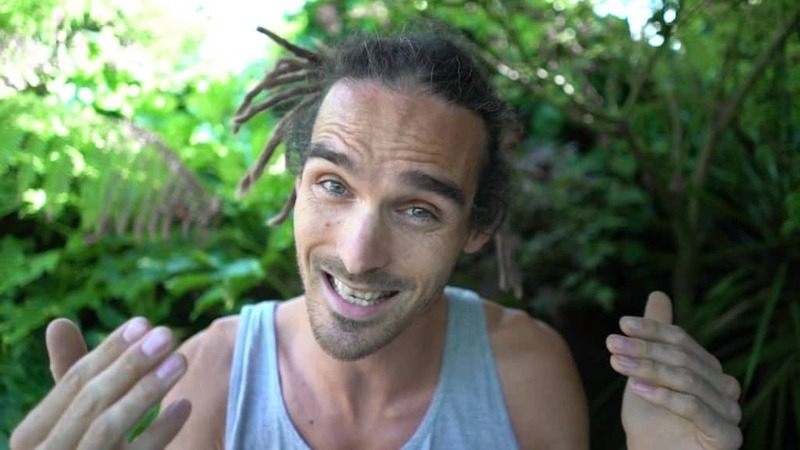 FunForLouis travels a lot so it would not make sense for him to use a heavy DSLR camera. Therefore Louis only uses digital point and shoot camera. He currently has two different cameras, the Sony CyberShot RX100 IV and the Canon G7 X. After seeing the camera in the mirror reflection on one of his prank videos we can say with 100% certainty that JC Caylen uses a Canon 80D to record his YouTube videos. What Camera Does Joey Graceffa Use? In his video ‘What happened last night’ he starts his video recording in a mirror where the camera is clearly visible. He currently uses the Sony RX100. We don’t know if it’s the Mark IV or Mark V but either one is a great camera for YouTube. Jon Olsson is a relatively new vlogger in the YouTube scene but has already invested heavily in camera equipment. We estimate his camera equipment is worth close to $100k. For more details about all the equipment Jon uses and how he uses them, check out our Jon Olsson setup guide. After he uploaded a picture of his camera on his instagram we can confirm that Kian Lawley now uses the Canon 5D Mark III with a Canon 10-22mm lens and a Rode VideoMic Pro R microphone. What Camera Does Markiplier Use? Markiplier uses the Sony a7R II as his main camera. The webcam he uses to record his face when gaming is the Logitech C920. What Camera Does Marques Brownlee (MKBHD) Use? Marques Brownlee is on a level of its own in the YouTube community. Marques has invested a lot of money into extremely high quality video equipment and it certainly shows in his videos. What Camera Does Missglamorazzi (Ingrid Nilsen) Use? From her New York appartment tour video we can say with 100% certainty that she uses a Sony a7 with a Rode VideoMic Pro. For extra lighting in her videos she uses a Neewer 14-inches ring light. Before that she used a Canon Elph 300 HS. What Camera Does NigaHiga Use? His setup was clearly visible in one of his behind-the-scenes videos. We could recognize most of the equipment but we are not 100% which tripod he uses. The camera he uses is a Panasonic GH5 which is very popular among YouTubers. He uses this camera with a Rode VideoMicro microphone and a Neewer 14-inch ring light for better lighting. 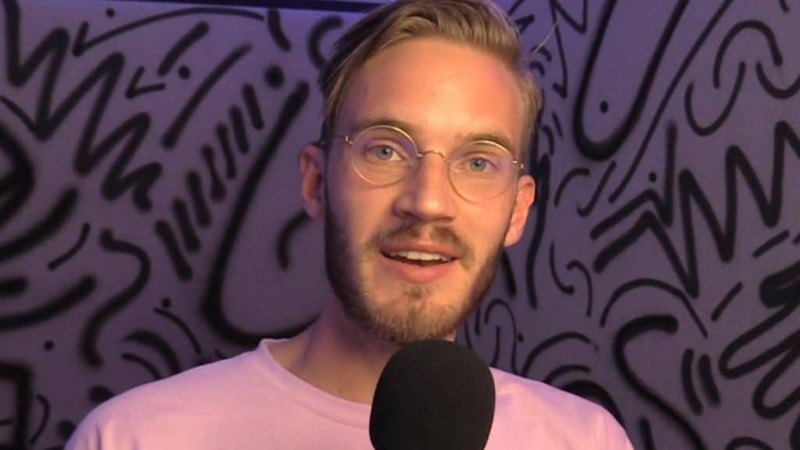 What Camera and Recording Software Does PewDiePie Use? AKG Pro Audio C414 XLII Condensor Microphone mounted on a Rode PSA1 Swivel Mount Studio Microphone Boom which is connected to a Roland RUBIX22 Rubix 22 USB Audio Interface. When PewDiePie is vlogging he uses a simple point-and-shoot camera: Canon PowerShot G7 X. His gaming setup however is a lot more elaborate. For recording his face he uses a Sony a7R II on a tripod connected to a field monitor. For extra lighting he uses a Neewer camera ring light with a softbox diffuser to soften the light. For recording his voice he uses an AKG Pro Audio C414 mounted on a Rode PSA1 swivel mount and connected to a Roland RUBIX22 USB Interface. To actually play the games he uses the BenQ ZOWIE Gaming Mouse with the Corsair STRAFE mechanical keyboard. The monitor he uses is the ASUS ROF Swift PG27VQ Curved Gaming Monitor which is set up on his Humanscale float standing desk which can be easily transformed from a normal desk to a standing desk. For game audio he uses a Razer Kraken Pro V2 headset. He records his gameplay with OBS Studio. To view his full setup more in-depth and see his PC specs and more, check out our article on PewDiePie’s setup. Ricegum currently uses the Sony a7S II as his main camera. The microphone he uses is the Rode Videomic and he mounts his camera on a JOBY GorillaPod. Before he upgraded to the Sony a7S II he was using the Canon PowerShot G7 X.
Roman Atwood uses the Canon 5D Mark IV when it’s possible. For vlogging he uses two point and shoot cameras: the Sony CyberShot RX100 IV and the Canon PowerShot G7 X. Both cameras are very easy to carry around and record high quality video footage which makes them very popular among vloggers on YouTube. What Camera Does Shane Dawson Use? 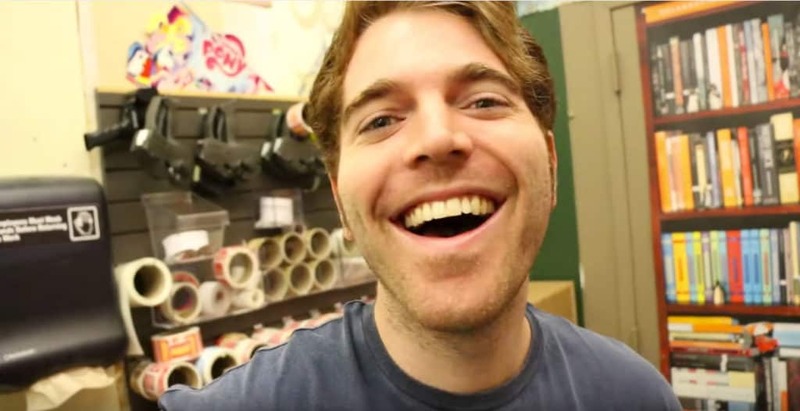 Shane Dawson uses different cameras depending of the type of video he is recording. For recording sketches he uses a Panasonic DMC-GH1K. For recording short movies he uses a Canon EOS 5D Mark III which is a high-end full frame DSLR camera. For recording vlogs Shane keeps it very simple and just uses his iPhone, especially the newer models produce very high quality video which is good enough for YouTube videos. What Camera Does Shaycarl/Shaytards Use? Just as many other vloggers on YouTube Shaycarl uses the Canon G7 X. Lightweight, compact, durable, excellent image quality and a flips screen so you can see yourself while vlogging to make sure you are in frame. What Camera Does Zoella Use? Zoella uses two cameras depending on the type of video she is creating. If she is recording a planned video at home and she can mount the camera on a tripod (Velbon Videomate 438 Aluminum) and set up the lighting (Manfrotto Spectra Bi-Color) she uses the Canon 70D with a Canon EF 50mm f/1.2 lens and a Rode VideoMic Pro microphone. For vlog and other on-the-go recording she uses the Canon G7 X Mark II. For Zoella’s full setup of all the camera equipment she uses for her videos we also have a in-depth write-up of Zoella’s camera setup. Hopefully you now know which camera your favorite YouTuber uses. If you are missing any YouTubers or any of the featured YouTubers have since upgraded their equipment please let us know! By helping to keep this list up to date we will be able to provide the most accurate answers for other readers.